If you own a cat, you probably know this: the back of their heads smells so damn good. One Japanese company researched that scent, recreated it, and is now bottling and selling it. Okay, not all cats smell good (some smell terrible), but according to Naver Matome, the Japanese owners of ones that do, described the aroma as everything from the smell of sunshine to the sweet scent of just baked bread. 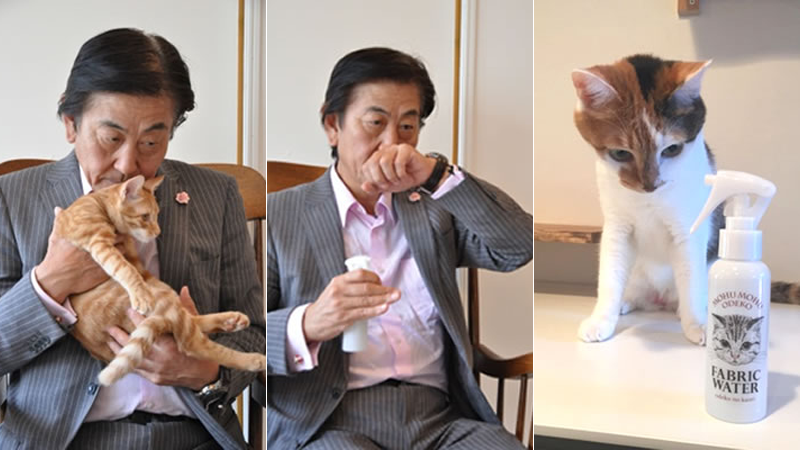 The head of Yamamoto Perfumery, Mr. Yamamoto himself, spent four months of series research, going from cat cafe to cat cafe sniffing different feline’s heads. The result? Fluffy Brow Scented Fabric Water. It can be sprayed on to, well, fabrics to give them a lovely cat-head smell. Bottles went on sale earlier this month in Japan and are priced at 1,200 yen (US$9.90) each. What a time to be alive!